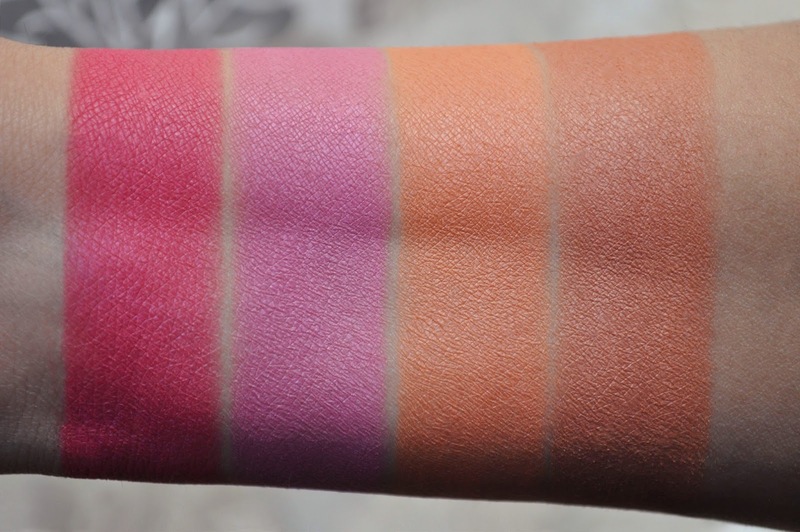 The Glowing Powder Blusher are a multicolored-striped blush, that give the cheeks this sensational flush of sublime color. 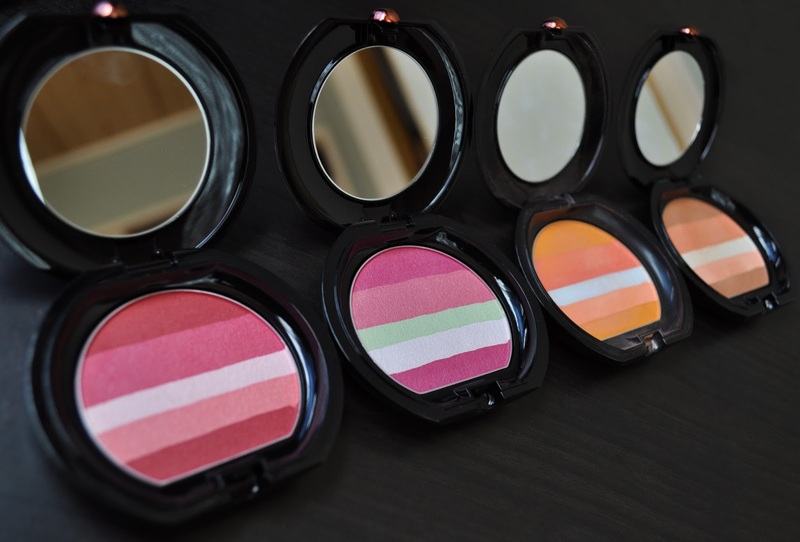 The Glowing Powder Blushers come with a flat, fan-style brush and, although the quality is rather good, it still goes the way of the Stila Pocket Rocket I reviewed ages ago...goodness, that produc was vile. The multi-stripes allow you to customize your own flush, but I don't have the time nor patience for that...and besides, I like the results I get when I swirl my brush into all the stripes. Whether I tap off the excess from my brush or delicately swirl the brush on the back of my hand, both forms blend the product evenly, offering heavenly application. From left to right: 01, 02, 03, 04. Pigmented with a velvety smooth texture, these blushes have a gorgeous satiny-matte finish, with a subtle, radiant, dreamy sheen that I wasn't able to capture in the photograph above...Shame! 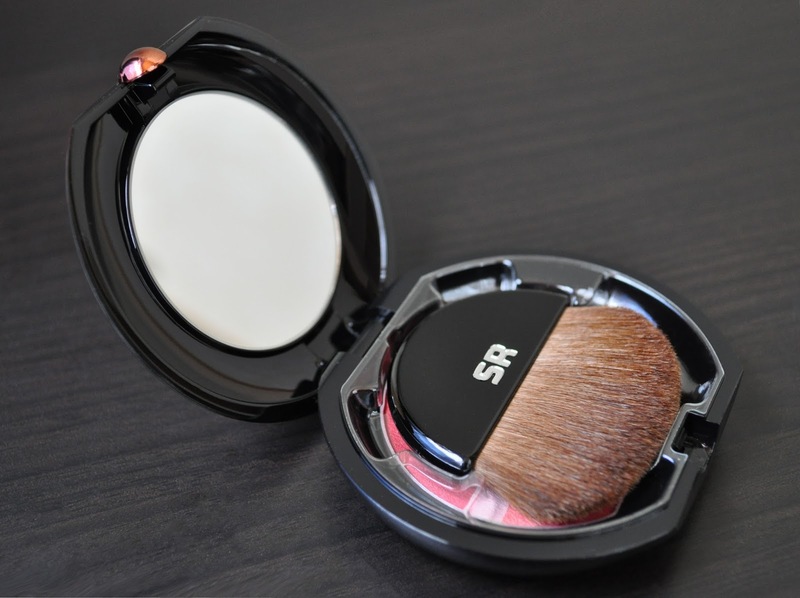 The Glowing Powder Blusher retails for 5,500 yen (plus tax) and contains 6g (21oz) of product. 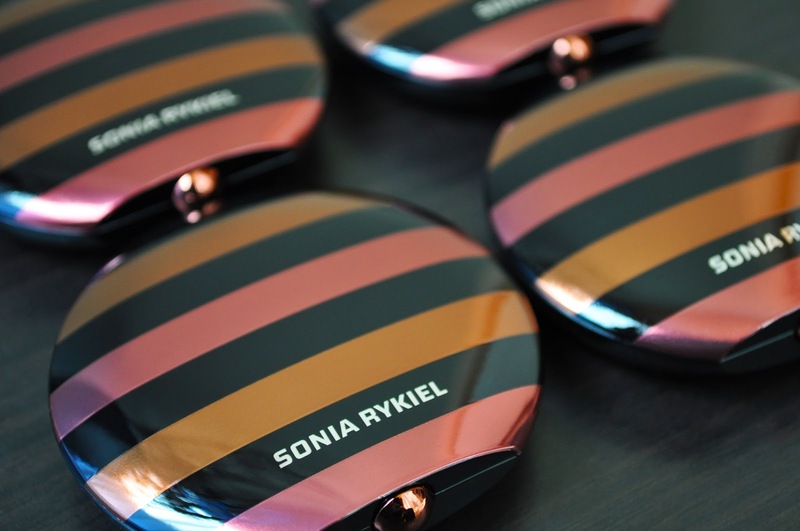 Bonus information, the Sonia Rykiel counter will be around until March 30th. Crossing fingers, let's hope it will be around longer. I really like 03. Unfortunately I've never seen Sonia Rykiel on my side of the pond. All colors are brilliant! I believe the brand is exclusive to Asia. Baaa, Baaa...Happy Baalated New Year!